Samsung YP-U3, the latest edition of Samsung’s U-series of small form factor MP3 Player which is one of a competitors to the iPod shuffle. This latest Samsung U3 features a 1-inch OLED display, RDS tuner, 15 hours battery life and support for MP3, WMA, ASF and Ogg files. 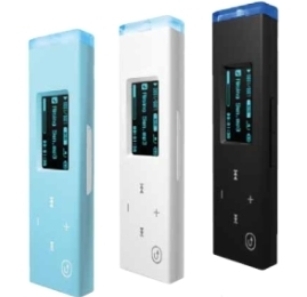 In addition, these MP3 players had a built-in USB plug for downloading your favorite songs and musics from PC or notebook. The Samsung YP-U3 MP3 player with a new recording function will be available in 1, 2 and 4GB models but it has not been official announced so no words on its price and release date yet.